FAQ: How do I access the Market Potential data in SRDS Media Services? 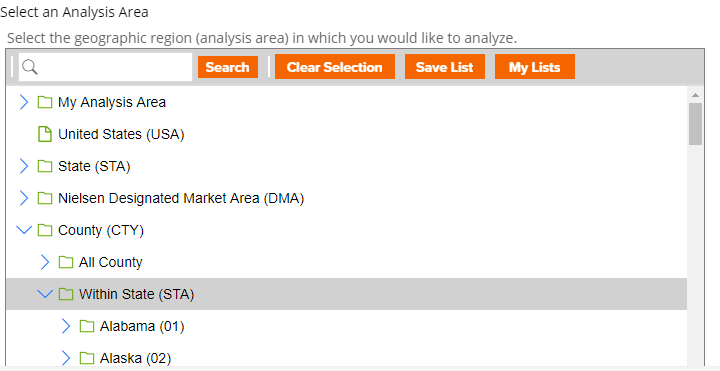 Select an Analysis Area using the options or by searching. Browsing is recommended because a county name can be in multiple states. 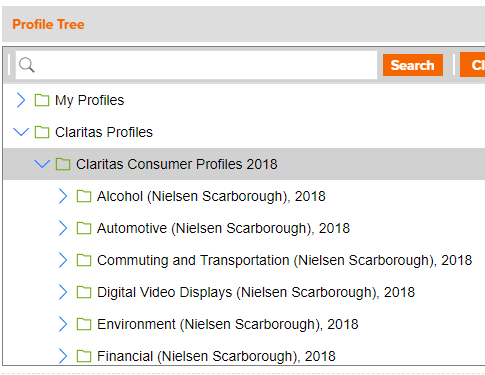 Check to make sure all the profiles and analyses areas you would like to search are in the “User Selections” box. Base % Comp: The percentage of people in the county compared to all selected counties in the report. % Comp: Percentage of people engaged in the consumer behavior in the county compared to all selected counties in the report. Users/100 HHs: Number of people per 100 households in the county engaged in the consumer behavior. Market Potential Index: An index number indicating the intensity of the behavior within the county compared to all other counties in the database. 100 is average. For example Hillsborough County in NH has a Market Potential Index of 101 for people who drink Dr Pepper most frequently. This means that this county is 1 percentage point above average.